‘Shoulda woulda coulda’ – oh that dreaded word: regret. *Cringe*. We all have it – especially parents! So often I made a decision with regards to my daughters and immediately regret it. Other times… I suddenly realise that I haven’t done something that I should have or wanted to. My daughters are barely out of nappies and I know that my top regret is not recording down a list of firsts – I always start off gusto and the Life just gets the better of me. According to a new survey by Mymemory.com, 32% of us are in agreement. There ya have it – all the things we’d change if we could do it over. That said: regret is not something that should be dwelled on – for the sake of sanity. 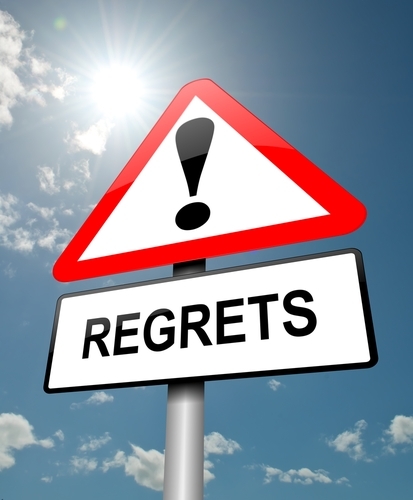 What is your top regret as a parent?